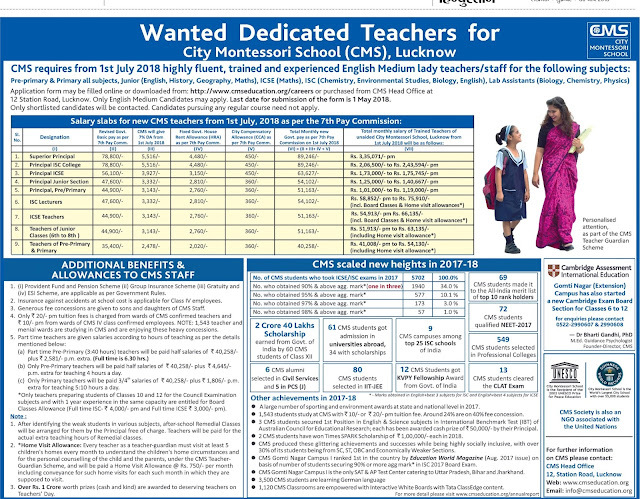 City-Montessori-School-Lucknow has issued the notice of CMS Lucknow Teacher Vacancy 2018 for filling up vacant highly fluent, trained and experienced lady teacher and staff for the following subject vacancies. Job hunters who are willing to make their career in teaching sector they may fill through career section given on the home page of Official Site. 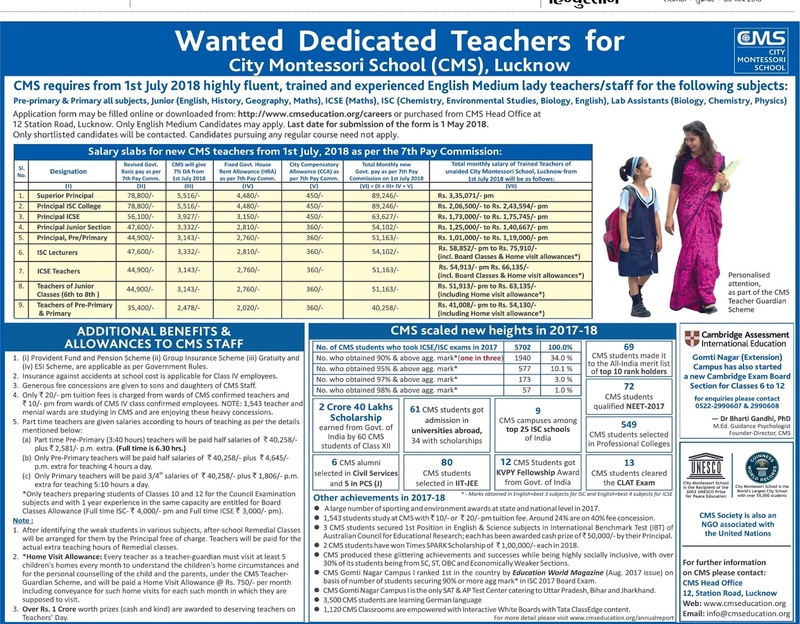 Only 20 Rs Tuition fee will be charged per month from wards of confirmed CMS teacher and 10Rs. Per month from IV class CMS employees. Every teacher or as a teacher guardian must visit at least 5 children’s home every month to understand the children’s home circumstances, Under the CMS teachers, guardian scheme, Home visit allowance of Rs.750 will be paid per month including other allowance for conveyance and other. Rs 1 Crore worth prizes (Cash and kind) will be awarded to deserving teachers. Fill the application form with all important details and submit it within the given period of time.